A hands-on evening workshop for women and a chance to learn more about The Wildwood Path! 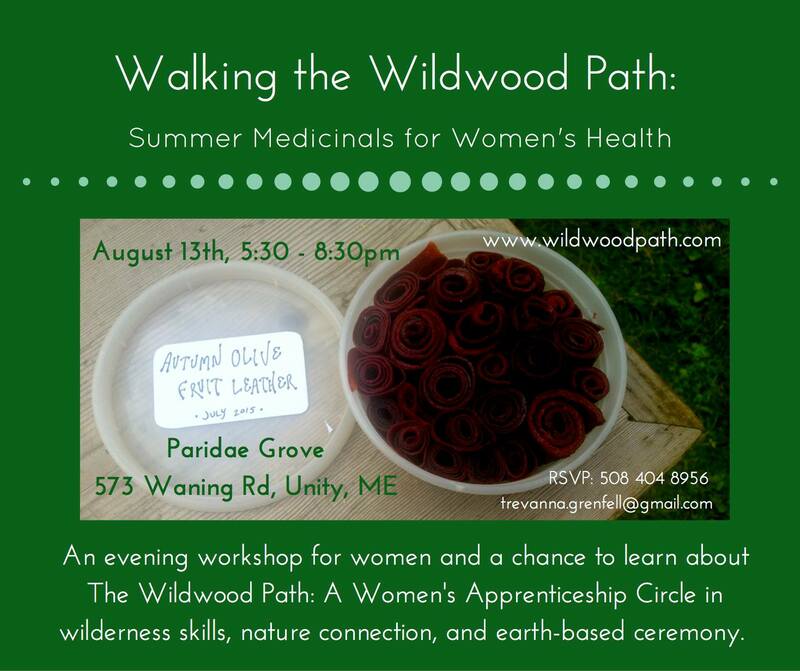 If you’re curious about what wild edible and medicinal plants are available in August to support women’s health, and if you’re curious about The Wildwood Path, join us on Thursday, August 13th from 5:30 – 8:30pm at Paridae Grove! We’ll gather in circle and identify and harvest some delightful plants, and then have a chance to chat about The Wildwood Path as we prepare wild food and medicine. Please RSVP on Facebook, space is limited!